Fusing a sleek black design with a deluxe golden interface, this is a watch that demands attention – and awe. 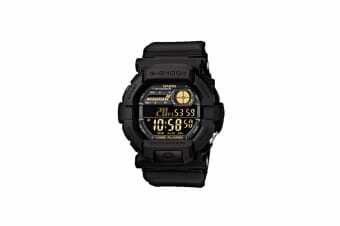 The Casio G-Shock Digital Watch is a brilliantly designed watch, backed by 200 metre water resistance, shock resistance and a variety of other premium features. A one of a kind watch, the Casio G-Shock Digital Watch is your perfect companion throughout all of your adventures.